Alisa started Sondak Law Group with the philosophy that an attorney’s role is not only to solve a legal matter, but also to act as a sympathetic and effective counselor, providing continuous support to her clients. Alisa’s background in a variety of disciplines from real estate investments and sales, securities trading to rehabilitation sciences, equipped her with a unique set of skills. Alisa is a very intuitive and passionate litigator and is aggressive in getting the best results for her clients. Alisa treats every client matter as if it was the most important case of her legal career, dedicating 100% to each and every single case. Due to her diverse background, Alisa is armed with the knowledge to identify the many potential pitfalls as well as strengths in any given matter. This in turn grants Alisa the ability to effectively represent her clients in a variety of legal disputes and complicated litigation while offering far reaching litigation support. 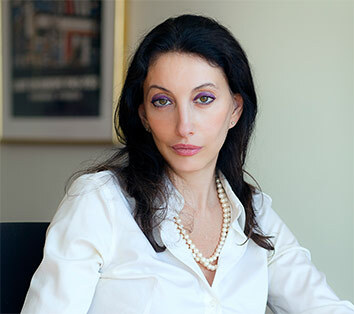 Alisa’s extensive volunteering and Pro Bono work in the areas of divorce, immigration, and criminal matters, has provided her with invaluable experience in understanding the multitude of emotional issues faced by clients during litigation process. Alisa alleviates concerns her client’s face by establishing middle ground between doing what needs to be done in order to achieve a client’s objective, while mitigating the multitude of challenges encountered during the legal process.